Looking for Christmas presents for a Doctor Who fan, or maybe asking yourself how you’d like to enjoy the most recent series? You’re in the right place: On 13th November 2017, the complete Doctor Who Series 10 was released on DVD and Blu-ray. But as with previous years, the episodes included within the set have been made available in various iterations. 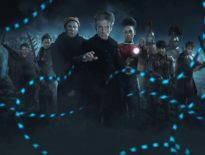 Technically, Series 10 began with 2016’s The Return of Doctor Mysterio, and continued with this year’s 12-episode run: The Pilot, Smile, Thin Ice, Knock Knock, Oxygen, Extremis, The Pyramid at the End of the World, The Lie of the Land, Empress of Mars, The Eaters of Light, and World Enough and Time/ The Doctor Falls. 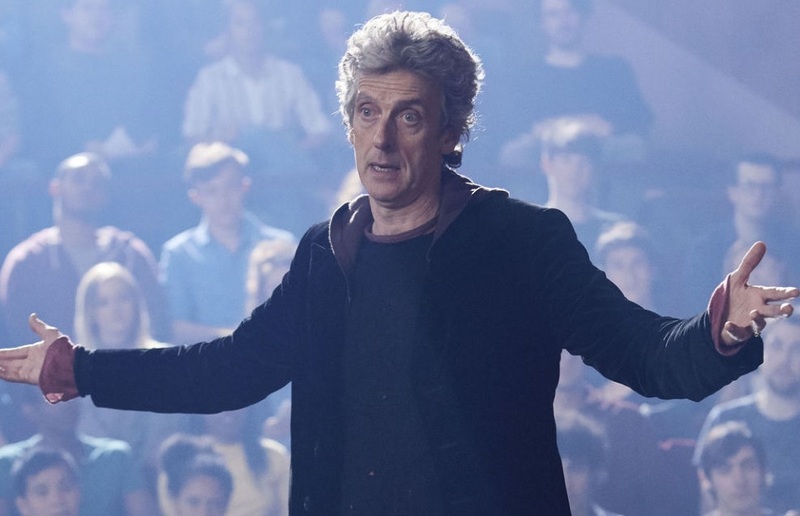 It concludes this Christmas with Peter Capaldi’s swansong as the Twelfth Doctor, in Twice Upon A Time. Sadly, that festive special, also starring David Bradley as the First Doctor and Pearl Mackie as Bill Potts, won’t be included in any Series 10 sets, at least in 2017. If Capaldi’s last episode is anything like Matt Smith’s finale, The Time of the Doctor, it’ll be released in a package alongside the Christmas episodes starring his respective incarnation of the Time Lord. So for now, we’re focusing on everything from The Return of Doctor Mysterio to The Doctor Falls. Let’s check out your options if you want to get your hands on Series 10. Let’s start, very briefly, with digital media – i.e. downloads and streaming services. In the past, we might’ve rely on the BBC Store to get our fill, but now that’s gone, you can still find ways to enjoy your favourite show. You can download via Amazon, where each episode in HD will cost you £2.49, or £1.89 in SD, or £14.99 (HD)/ £12.99 (SD) for the whole series; however, this doesn’t include The Return of Doctor Mysterio. In addition to these, you’ve access to the Inside Look features (typically each around 2 minutes in duration), plus the 1-minute promotional trailer which got us so excited all those months ago. Similarly, they’re £2.49 per episode in HD on iTunes, although the full season costs £16.99. 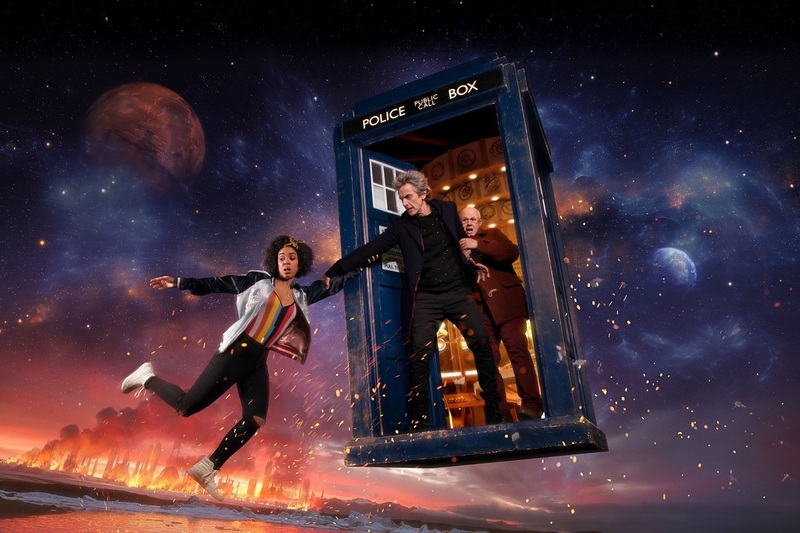 As we’ve covered earlier today, Series 1 to 9 are available on Netflix UK, but if you’re after Series 10, you’ll have to go through Amazon Prime Video. This is your first port of call – your first consideration. 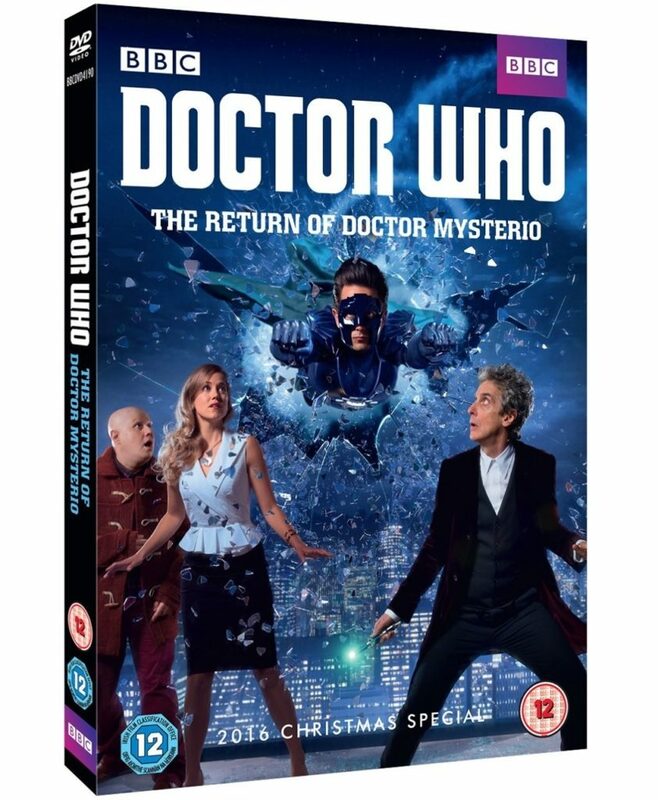 A complete boxset, available on DVD and Blu-ray – which includes all the episodes from The Return of Doctor Mysterio to The Doctor Falls. The Fan Shows, generally aimed at a young demographic, are all included on one disc, similar to how Doctor Who Confidential Cut-downs for Series 1 to 6. A cool inclusion here is the binaural version of Knock Knock, heightening the creepy atmosphere of the story for anyone listening via headphones. The standard DVD has an RRP of £49.99, while the Blu-ray is £54.99 – but don’t pay that much. Expect to pay around £32.99 for the DVD and £37.99 for the Blu-ray; if you shop around, you’ll likely find a few extra pounds off, but nothing drastically until 2018 at the very earliest. Here’s a solid option for dedicated fans: a beautiful steelbook featuring painted covers by the stunningly-talented Alice X. Zhang. 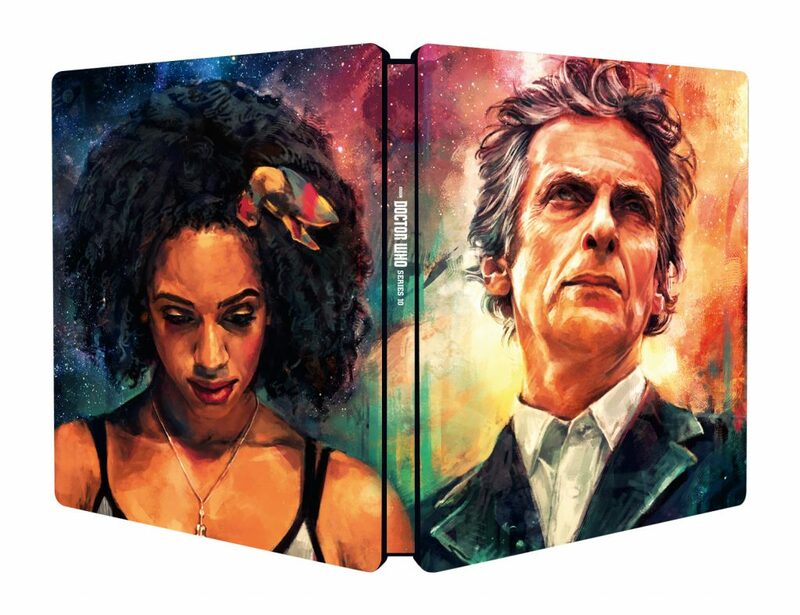 On the front: the Twelfth Doctor; on the back: Bill Potts. For anyone unfamiliar with steelbooks, these are metallic cases, sturdier than normal Blu-ray cases, and, as they often have exclusive artwork, aimed squarely at the collectors’ market. 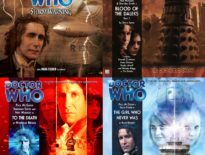 The 6 discs include the same content as the aforementioned Complete Series 10 sets – but this is a Blu-ray release only. There’s a cardboard section that covers the back of the pack and the bottom of its cover – inside, you’ll find 3 lenticular cards of the Twelfth Doctor, Missy/ the Master, and a Mondasian Cyberman from World Enough and Time/ The Doctor Falls. This is a limited edition set, exclusive to Amazon UK, and as such, these will be very hard to get hold of in future; the similar Series 9 is scarce, but if you find one, you’ll have to part with a considerable amount of cash. This year’s steelbook is around £10 more expensive than 2016’s, and no, we don’t know why either. We suspect it’s simply that Amazon can name whatever price it wants for an exclusive Blu-ray. It started off nearly £70, but right now, sits at £47.99 – that is, if you find the right one. Third-party sellers have, of course, stocked up, so don’t get caught out. But be swift if this is the version you want – they’re bound to sell out very soon! There is another possibility, of course: the series was released in two parts, the first in May and the second following in July. Part One includes The Pilot, Smile, Thin Ice, Knock Knock, Oxygen, and Extremis. Yes, it was a bit odd leaving the Truth Monk trilogy dangling, but there we are. The Pyramid at the End of the World, The Lie of the Land, Empress of Mars, The Eaters of Light, and World Enough and Time/ The Doctor Falls. The pair have interlinking covers that are frankly really cool; but then, so is the one for the Complete set. So why might you consider this pair of DVDs/Blu-rays? If you’re like many fans, the art-cards will sway you. Each case contains 6 exclusive postcard-sized designs, one per episode – they’re minimalist, scratchy, and fantastic. They’re also great if you collect autographs: you can take these small cards along to a convention instead of a DVD cover. These are about £14.99 on DVD and £19.99 on Blu-ray each, so the former costs you slightly less than the complete set DVD. Wait for a time, and the prices will duck to around £10, maybe even less, meaning they may be worth your while. However, they don’t have the same range of special features (desperate for The Fan Show? You’ll have to buy the Complete Series 10), and The Return of Doctor Mysterio is missing, due to the vanilla release from January. Speaking of which, we come to your final option. Let’s say you loved the 2016 Christmas special, but hated Series 10 otherwise. You maverick. Let’s say you bought the two different parts and want to revisit The Return of Doctor Mysterio. Also, a maverick. It’s been a little while since this was out, so the price has dropped a bit. Not massively, but perhaps it now edges into an acceptable price range. Don’t pay more than £10, obviously. It’s a nice DVD/Blu-ray, but let’s not go mad here. And there we have it. Your purchasing options for Doctor Who Series 10. But which are you going for? Which do you recommend? 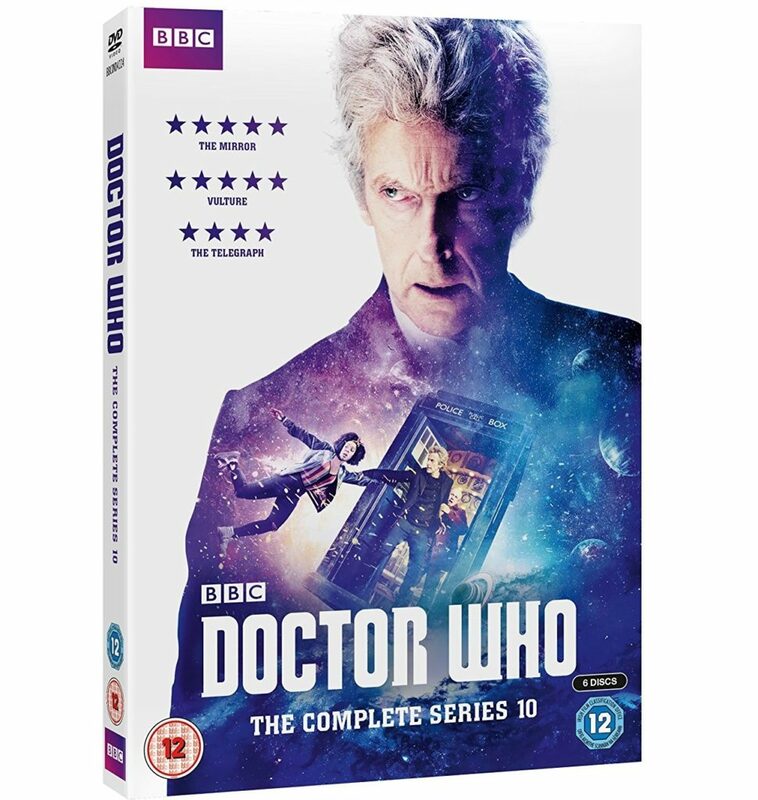 Or are you holding out hope for an extended boxset with Twice Upon A Time…?